Prince George's upbringing will help him become a great future king. 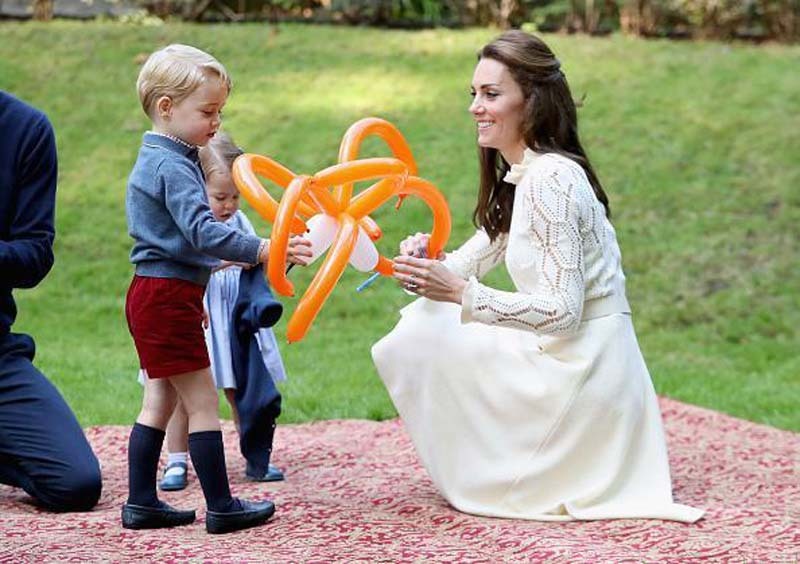 Pictured: Prince George, Middleton at a children's party for Military families during the Royal Tour of Canada on September 29, 2016 in Victoria, Canada. Photo: Getty Images/Chris Jackson - Pool. Kate Middleton’s positive upbringing of Prince George will prepare the 5-year-old for his future role as king. Jeffrey Hughes, a child educational psychologist, said that Prince William and Middleton’s desire to give their children a normal childhood will have lifelong effects on Prince George, Princess Charlotte, and Prince Louis. “Kate Middleton comes from a relatively normal family, and this will be to George’s benefit. Kate and William are known to be hands-on parents, and William has shown himself to be a relatively stable character, which will positively influence his children’s lives,” he told Express. [post_ads]However, Hughes also noted that Prince William and Middleton’s children will eventually find themselves in the spotlight no matter how much their parents try to shield them from the media. “The royal family and the children will always be of interest to the public. Many celebrities and film stars try to protect their children and keep them out of the spotlight, however, the royal family controls it but also embraces it. The children are going to be in the spotlight and have to learn to control themselves. It will have a massive impact on how they perceive themselves, but we will see them as time goes by,” Hughes said. “You can’t predict it. The only thing you can do is provide them as much of a good experience as possible. Children respond positively and negatively in the way they were supported and developed during childhood,” he added. Prince George is third in line to the throne of succession. When Queen Elizabeth II retires from her top role, Prince Charles may take her place and become king. Prince William is second in line to the throne of succession.